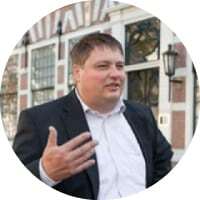 Arjen van Berkum is a Dutch national and is involved in analytics, big data and machine learning from the year 2002 and onward. First in marketing intelligence and database marketing but moving on to leadership positions relying heavily on information to make decisions. He works as CDO for a large IT Company in the Netherlands. Arjen has two daughters and is really interested in Disruption brought by new techniques and believes that BI ML and DL will fuel transformation of many core businesses. I don’t consider myself an expert. I am very talented in understanding the rudimentary possibilities and technology. I am very good in finding business needs and where BI can drive value fast. Significant. I give lectures at several international universities, I’ve spoken at TNW, Forrester and Gärtner Events.